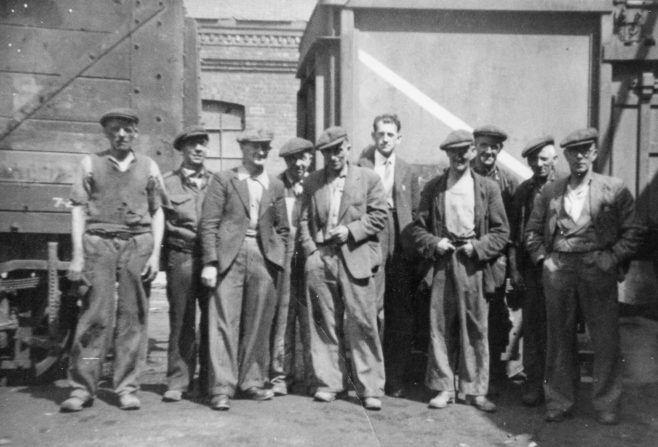 Said to be the men on the last shift of steam power at Mansfield (Crown Farm) Colliery, but who are they? The man 4th to the right looks like my great grandfather Ernest Rhodes. Lived at Crown Farm as a boy and worked at Crown Farm Pit until he retired.